This 5-Year Strategic Plan is the fourth plan in a process that was started in 2000. Current wait times for residential addiction treatment identified as most problematic in Toronto Central LHIN Report: Access and Integration – Transforming Pathways for Services for Substance Use and Addictions. All people affected by substance addictions will be guided with hope, tools and living examples, to achieve a life of physical, mental and spiritual health. Renascent facilitates recovery, education and prevention relating to substance addictions through a continuum of programs and services for individuals, families and organizations. At Renascent, values drive everything we do. They are our guiding principles. They keep us grounded, positive, and hopeful. We drive continuous improvement by listening to clients, families, partners, and organizations, ensuring an evidence-based approach. Renascent is driving increased knowledge and improved resources for people impacted by addictions, as a recognized leader in 12-step, abstinence-based treatment. The client and family journey from first contact through to long-term recovery is person-centred, strongly integrated, and meets concurrent needs. Our employees work in a safe, caring team environment, with competitive compensation, and support for continuing professional development. Renascent‘s organizational model generates growth and development of people, programs and facilities. Fund-raising creates sustainable and significant support of programs and capital needs. Government funding through the LHIN and MOH is enhanced to increase quality and capacity. Third-Party Partnerships and Fee-for-Service Programs are strong and growing, reflecting excellent value, access and partnerships. Asset Stewardship and Investment allows for excellent upkeep of facilities. Strategies: What Will We Do To Get There? 1. Drive evidence-based decision-making through strong information systems, analytics, and evaluation of industry best practices. 2. Demonstrate treatment excellence and value through accreditation renewal, outcome measurement and advocacy. 3. 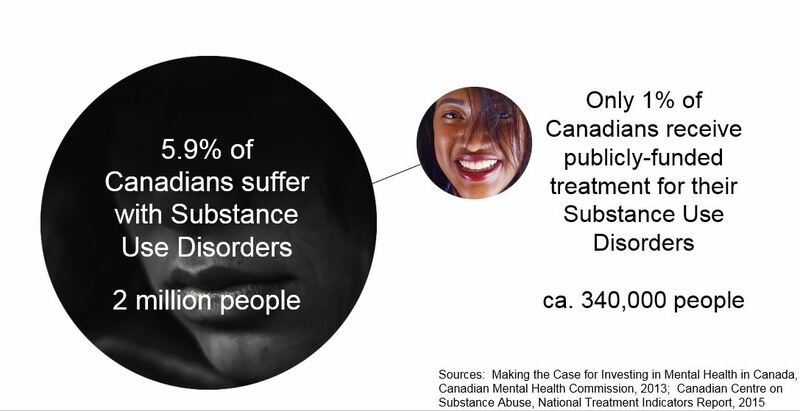 Focus on person-centred care recognizing addiction as a complex chronic disease requiring an integrated approach. 4. Invest in employees through a safe, caring environment, professional development and competitive compensation. 5. Pursue donor, partner, and person-centred relationship-building to provide exceptional value, service and communication. 6. Develop asset ownership / investment position that allows for excellent upkeep of facilities. Actively engaged at provincial and local planning tables through the Toronto Central LHIN, Addiction & Mental Health Ontario, the Annual Institute for Addiction Studies, and more. Strongly advocating with government for investment in community addiction treatment and support services. Ongoing collaboration with Ryerson University Research team on outcome studies and service innovation. New flexible length of stay policy for clients in Ministry of Health program, with 28 days as the standard. New and improved referral process established with other organizations and levels of care within the system, allowing for smooth transfer between levels of care. Ongoing networking and collaboration building with other community agencies to connect clients and families to other services. Active review of all quality standards in preparation for Accreditation in May 2018. Enhanced regular resource for psychological assessments for concurrent disorders. Launch of new Food Addiction Treatment Program in November 2017. Continued fund-raising to support bursaries for family program and continuing care for Ministry of Health clients. Ongoing focus on employee professional development through training and education. Professional credentialing/registration fees supported by Renascent. New diversity initiative launched supported by training and facilitation. Ongoing organization-wide town halls and team meetings to promote communication. Have begun to address staff compensation needs and further review and action plans underway. Renascent has an organizational model that generates growth and development of people, programs and facilities. Have increased communications with community through newsletters and specific correspondence. Continued excellent communication with partners referring to Renascent’s programs. Ensured continued affordability of fee-for-service programs with new fees. Expanded service coverage of Access Centre to increase accessibility. Obtained government grants to improve facilities and plan for capital projects. Have invested in important upkeep and maintenance of facilities.